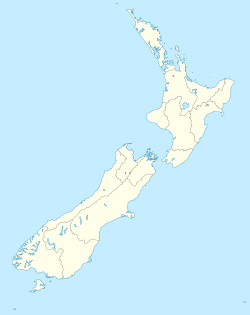 Burnham, also known as Burnham Camp, is the largest army base in New Zealand's South Island. It is located 28 kilometres south of Christchurch on the Canterbury Plains in the Selwyn District, close to the town of Dunsandel. Burnham was named after Burnham Beeches, Buckinghamshire. The senior headquarters at the camp has seen many changes. Previously Headquarters 3 Task Force, 3 Task Force Region, HQ Ready Reaction Force, and 3 Land Force Group have been based here. Most recently 3 Land Force Group was disbanded in 2011, and Headquarters Deployable Joint Task Force Headquarters - Land (DJTFHQ-L) was formed. Lockheed Martin New Zealand provides logistics services for the NZDF including Maintenance, Repair, and Overhaul, Managed Fleet Utilisation and warehousing. Medical training for the entire NZDF is conducted in Burnham at the Defence Health School and all medics enlisted in the Army, Navy or Air Force are sent here for training. Medics initially complete a one year Diploma of Paramedic Science, followed by one and a half years on the Graduate Diploma of Health Science (Paramedicine). Practical training and clinical placements, both in hospital and on civilian ambulance are completed throughout. Medics are then posted to their respective camps or bases. Burnham is also home to the Southern HQ of the New Zealand Cadet Forces (NZCF). They are the Air Training Corps (Air Force), Cadet Corps (Army), and Sea Cadet Corps (Navy). Latter, Edward (1992). Marching Onward: A History of 2nd Battalion, Royal New Zealand Infantry Regiment, 1845-1992. Christchurch. ISBN 9780473015671. McFarlane, Donald (2008). Short Back and Sides: A History of Burnham Camp 1923-73. Christchurch: Caxton Press. ISBN 9780473137618. This page was last edited on 30 January 2019, at 23:02 (UTC).